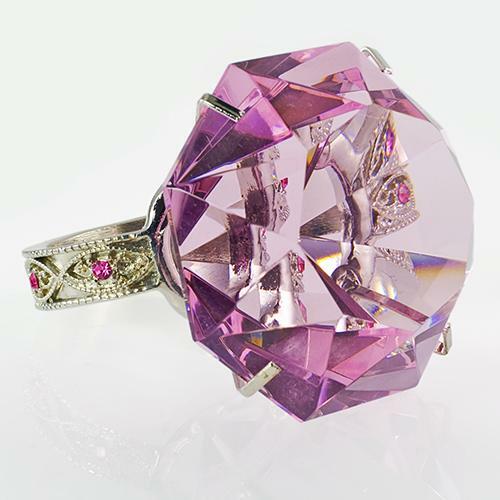 Large sparkling pink Crystal million dollar Ring Paperweight. This dazzling ring (approx. 3 inches across---not to be worn on finger) can be used as a paperweight, decoration or napkin holder. Comes with its own protective shipping box.